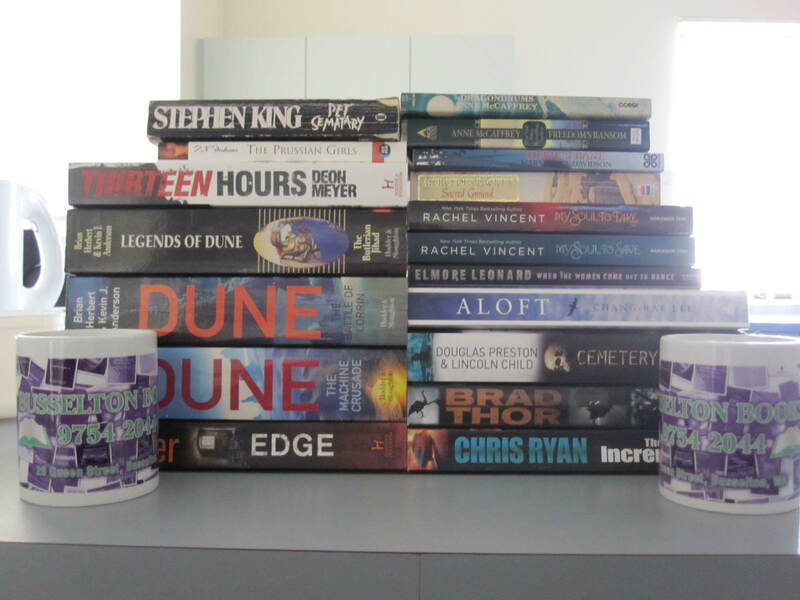 A few books from our favourite book store – Busselton Books. I love books. I’m not one of those e-book fans that has denied his love of old fashioned books – I recently sat down to read a good scroll. But lets face it, we live in an electronic age. Just because we have great new toys technologies doesn’t mean we should be burning books like its 1933. There has to be a point, an advantage, in changing from paper to electronic books. Quite simply, this picture explains why. This is the photo of my latest book acquisition and my cute little dog-pie, Fox. I have pre-ordered 3 books in the last month, in order to receive them as they are released here in Australia. 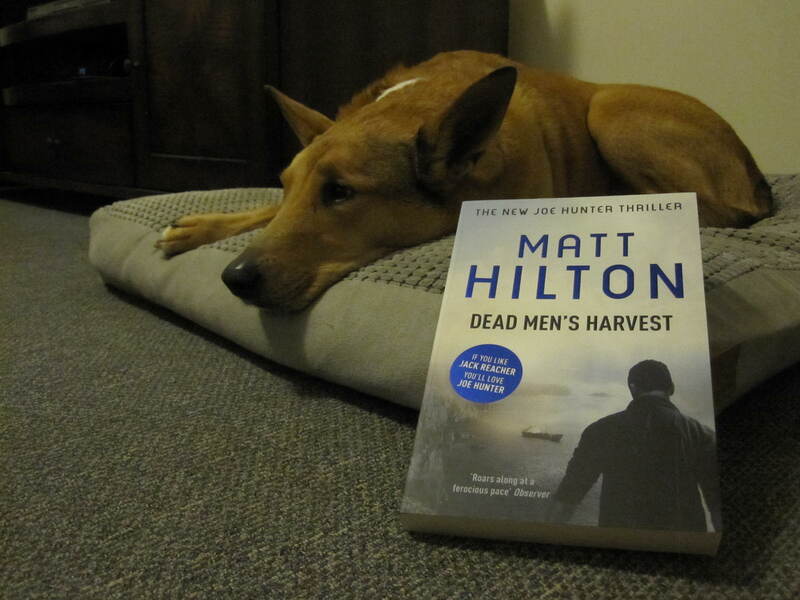 Matt’s Dead Men’s Harvest arrived in the post recently, several weeks after release, Fox was very possessive and wants to read it first. The approximate delivery dates for Matthew Reilly’s Scarecrow and the Army of Thieves and Lee Child’s The Affair are at least a week after their release. Simply, I have to wait for my paper. I have to sit out in the pouring rain, waiting for the mail-non-gender-specific-person to bring my books. My imitation vampire skin (non-sparkly) will be burnt by our harsh Aussie sun waiting. I don’t want to wait, I want my books now. I live on the corner of Middle and Nowhere, so my online book stores are actually closer than my physical stores. But still I wait. Given how popular book stores are at the moment with receivership’s I’m sure many of you will also be losing your physical stores too. 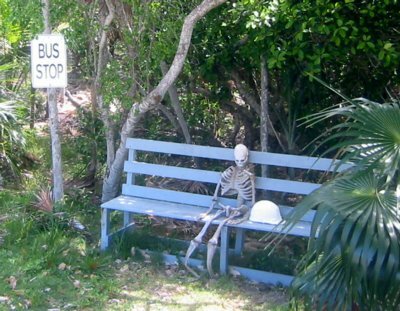 You too will wait. But I hope the 'real' books were well worth the wait!! Thanks for the mention Tyson, and I hope you enjoy the latest Hunter any way. Oh don't worry, it will have been worth it. When you posted that Dead Men's Harvest was on sale in the UK I was on the internet ordering.As much as I've just derided 'real' books, I do like having my favourites in paper form. Thanks for the tweet too! Good point Ruth. There are a lot of books that you only buy to read once. If you can store them in a small space that is much better.And like I replied to Matt above, the ones you want to have on display and re-read are well worth having in paper. My friend Russ thinks limited edition hardcovers will fill a niche like this. Previous Previous post: E-reader screens: better than a paperback.